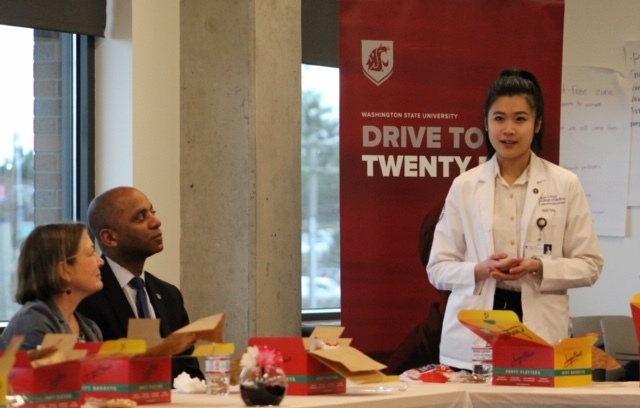 Legislators in Vancouver and Everett this week got acquainted with some of WSU’s 60 new first year medical students during lunch events on WSU campuses, finding an alignment with the mission of the Elson S. Floyd College of Medicine. “I chose WSU because of the mission statement to serve underserved populations,” one student said. WSU’s 60 first year medical students were in their designated regions this week, training in hubs at WSU campuses in Richland, Spokane, Everett and Vancouver. It was the second of three weeks of clinical training they’ll get during the academic year. Students will return to their designated regions for the entirety of their third and fourth years of training. 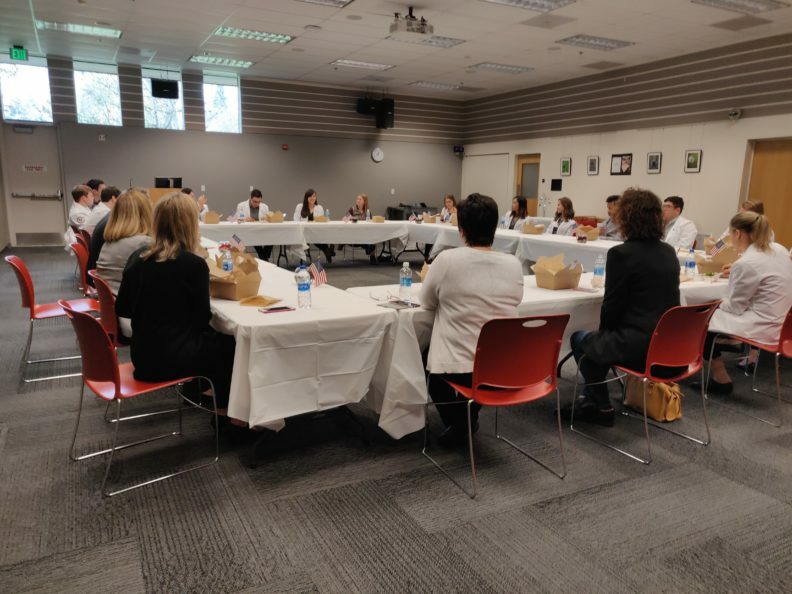 The lunch events are designed to introduce legislators to the students they’ve supported while providing students with the opportunity to engage with policy makers. In both locations, legislators found students who were attracted to WSU’s mission to serve the underserved. When asked about the application process one student shared about WSU’s family feel: “They really did want to get to know me.” Others spoke to efforts to ensure students care for themselves first. “Every week they would ask ‘how are you feeling?’” one student said. Students appeared energized by the opportunity to get into actual clinical settings.